At Wallspan, we believe your kitchen is the heart and soul of your home. Your kitchen is more than just a cooking space – it’s a hub for socialising, entertaining and creating. For that reason, all of our kitchen renovations are designed with our customers’ needs in mind. We individualise every kitchen design we produce to suit our customers needs and lifestyle with functionality top of mind. 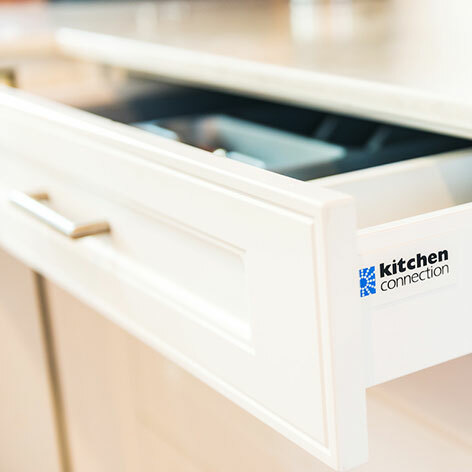 Our quality kitchen designers will work with you to provide a seamless kitchen renovation experience – from inspiration right through to installation. Laminate is a great, budget friendly kitchen benchtop option for kitchen renovators. Our laminate ranges feature a selection of popular colours, textures and designs. Our Lifestyle ranges have been chosen from a selection of the most popular colours and textures in the market today by a panel of world leading colour experts. A range of textures are available from rough to the touch to the glass stone-like finish. Our Studio ranges have been chosen from a selection of the most popular colours and textures in the market today by a panel of world leading colour experts. A range of textures are available from rough to the touch to the glass stone-like appearance of the Laminex Diamond-Gloss range. Practical and durable, engineered stone or Caesarstone is a popular choice due to its tactile finish and beautiful look. Caesarstone is available in a wide range of colours and designs from large chunky stone chips through to marble look blended tones. 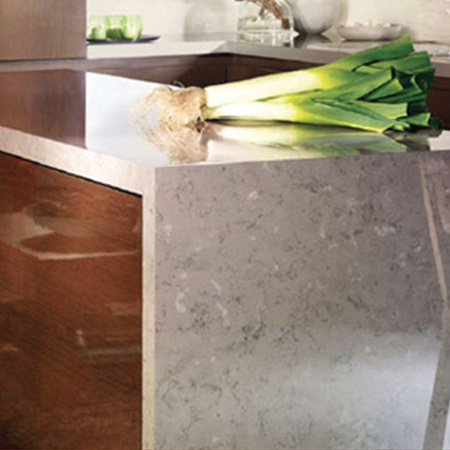 Our Caesarstone benchtops come in 20mm, 30mm, 40mm, 60mm and 80mm options. 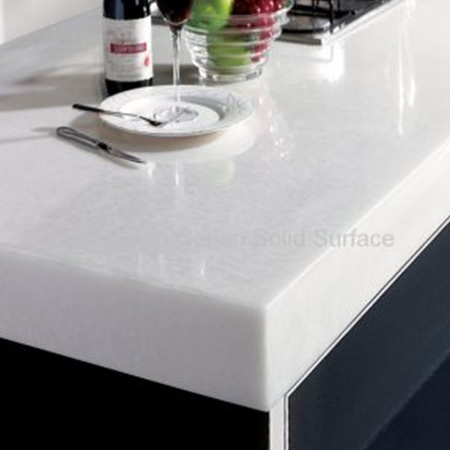 Solid surface benchtops are growing in appeal due to their stain resistance and the fact that there are no joins with the design. While more expensive, there are a number of great benefits to solid surface tops and these types of benchtops offer excellent longevity. 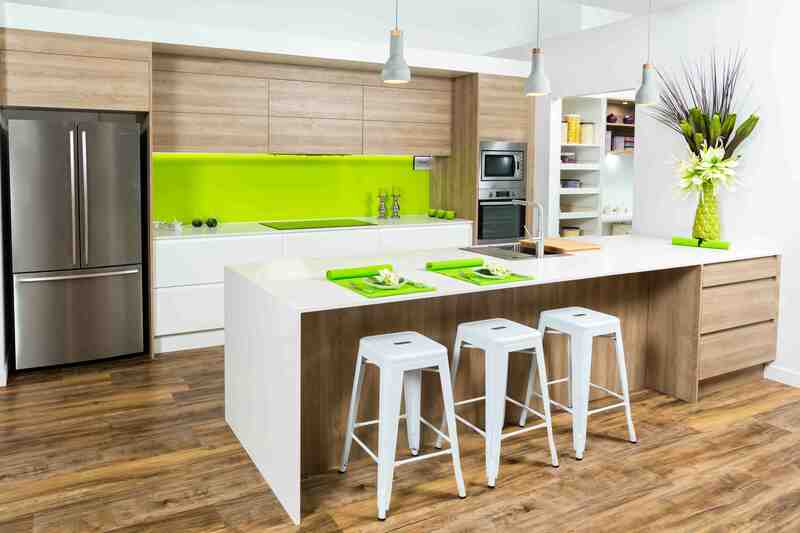 Timber benchtops add a great tactile, natural element to your new kitchen design. They especially suit rustic kitchen design styles such as country or shaker style designs. Timber can be a little higher maintenance though so sealing is advised. 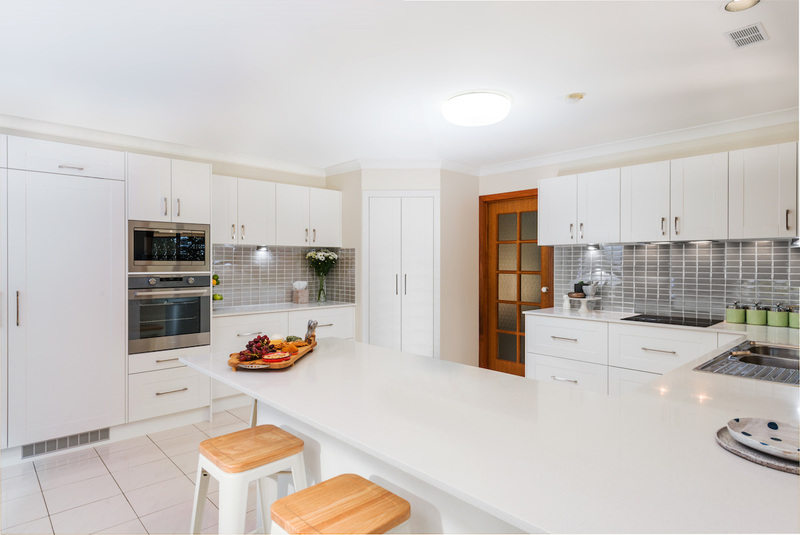 Not sure which kitchen benchtop is right for you? Book a free design appointment and our qualified kitchen design team will step you through each option, price ranges and applications. 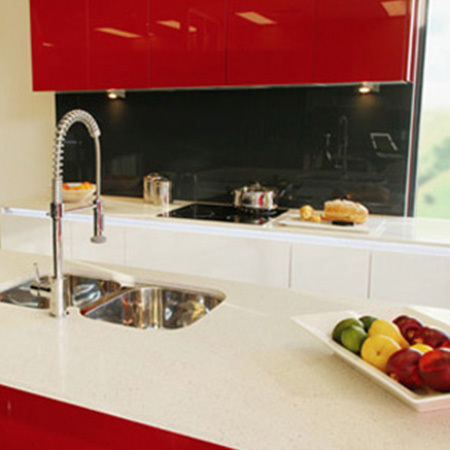 We offer a range of kitchen cabinets to suit your needs and design preferences. 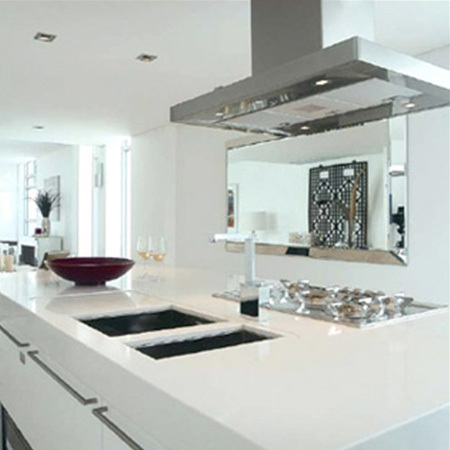 There is no better way to enhance your kitchen design than with quality fitted appliances. Selecting the right appliances is essential for ensuring that your kitchen will be functional and able to be used as you intend. 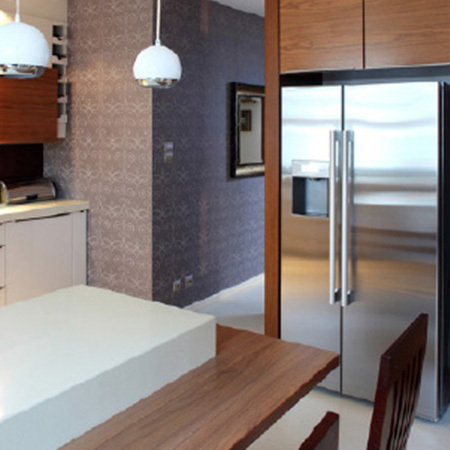 Our experienced kitchen designers will offer advice on the right appliances for your design. Backed by quality brands Electrolux and Westinghouse, we will also be able to offer you competitive pricing for your kitchen appliances. 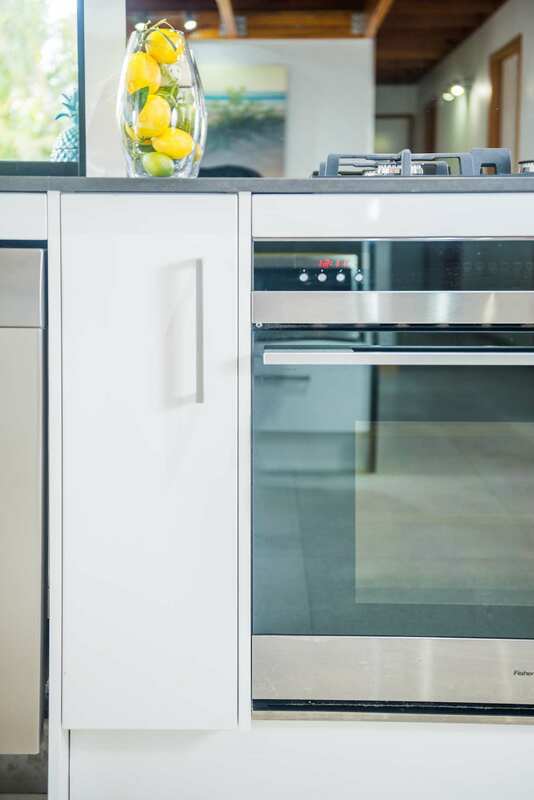 Click here to find out more regarding our kitchen appliance suppliers. Sinks – sound simple? There is actually quite a bit of knowledge that goes into selecting the right kitchen sink. 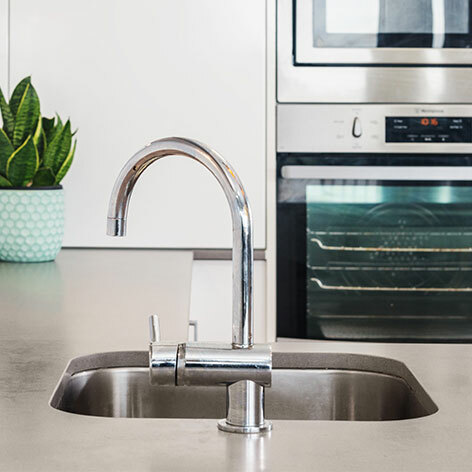 From undermounting and composition to the number of bowls, edges, seals and placement within your kitchen – there is a lot that goes into selecting a sensational sink. All our sinks and tapware are sourced from Australian owned company Oliveri. At Wallspan, we believe maximising space in your kitchen and how you can use that space is a critical component of your finished kitchen design. There are so many exciting aspects to designing a kitchen so its not surprise that kitchen flooring is often overlooked. With your kitchen renovation, it is likely that your kitchen footprint may change or the look of your new kitchen may not match with the existing look of your flooring. Our kitchen design team will help you to determine if you will need new flooring. They will discuss the options available to fit with the look and style of your kitchen.